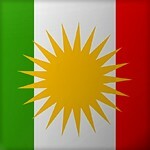 The government of Syrian President, Bashar al-Assad, has promised to make the Kurdish New Year’s festival of Newroz into an annual national public holiday, starting in 2012. The city of Qamishli (northeastern Syria on the border with Turkey, predominantly Kurdish, Arabs and Assyrians/Syriacs) is renowned for throwing a large Christmas parade every year in December, and celebrating Newroz festival by a large crowd every year in March. The thirteenth day of the new year festival is Sizdah Bedar (literally meaning “passing the thirteenth day”, figuratively meaning “Passing the bad luck of the thirteenth day”). This is a day of festivity in the open, often accompanied by music and dancing, usually at family picnics. 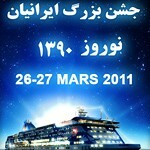 Come celebrate the Iranian New Year (Now Rooz)! 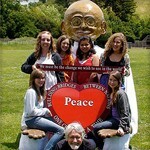 You and your children are cordially invited to participate in an enchanting train ride conducted by the Giant Gandhi Puppet of Peace. Our guest speaker and presenter of this international project, Jes Richardson, is a school teacher and resident of Novato, CA. 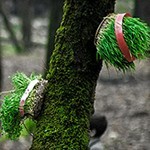 Since very ancient times, it is said, the Arous Gol ceremony has been held around Gilan and Mazandaran, two Caspian Sea provinces of Iran. The ceremony is part of festivities just before 21 March and a reminder of the arrival of spring. “Spread Peace & Embrace Unity of All Human Kinds” Dance choreographed by Anna Djanbazian, Djanbazian Dance Company. 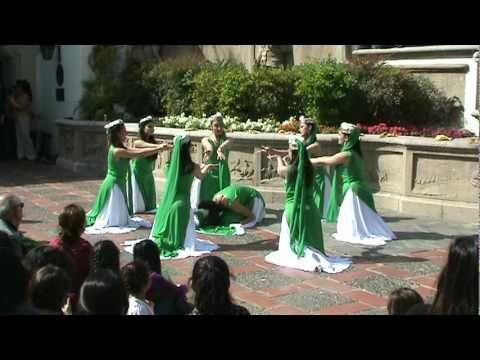 “This dance is all about the Green Movement, news of freedom, growth of Green Movement and it’s Peaceful nature. 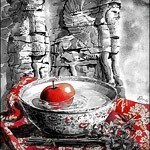 I also took the symbol of “Sabzeh” as the core of Green Movement” Anna Janbazian. In the spirit of the Iranian New Year (Nowruz) the CSUN Iranian Student association presents to Los Angeles “Save The Culture.” An elegant event to raise awareness of the beautfiul iranian culture, and to help raise money and bring about an iranian studies program at CSUN. 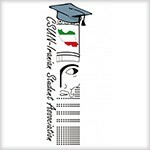 This is a program consisting of two events on April 9th 2011. 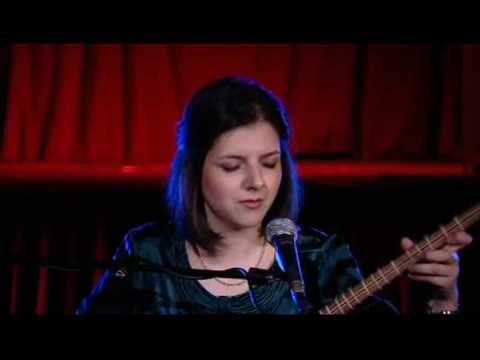 Persian food, music and performances by famous artists. 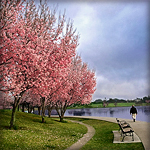 Please join us for the tradition Persian New Year Picnic of at the beautiful Lafayette Reservoir. Group picnic area has been reserved for the community. Please bring your family, food, drinks,and your soccer and volleyballs to have a great and fun filled day at the park. Ambassador Matthew Bryza graduated from Stanford University with a Bachelor of Arts degree in International relations, Master of Arts in Law and Diplomacy from Tufts University. 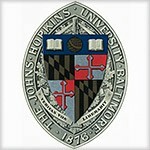 He is married to Zeyno Baran, a Turkish American scholar. Bryza is fluent in Russian and Polish, and also speaks German and Spanish, and conversational Azerbaijani language. Come Join Mehr Humanitarian Society for 13bedar at Liberty State Park! Food can be preordered. 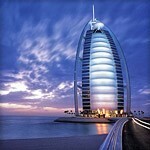 Enjoy a day of music, food, games, dancing, beautiful view, and just great company! Sari is the provincial capital of Mazandaran, located in the north of Iran on beautiful southern coast of Caspian (Mazandaran) Sea. Sari was founded during the Sasanid period (ad 224–651). 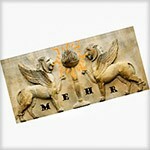 Native people of Sari have a folklore that the city was populated when Smith Kaveh (native of this city) revolted against the tyranny of Zahak. Nowruz has special meaning for many peoples in the Balkans, the Black Sea and Caspian Sea regions, the Caucasus, Central and South Asia, and the Middle East. Celebrated for millennia, the holiday is associated with a rich tapestry of customs and rituals linked with the arrival of spring. 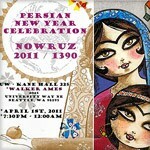 Join us in Celebration of Persian New Year – Nowruz – at the University of Washington Seattle Campus. 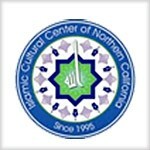 Although this event is at the very end of the Nowruz, it is the first Friday of Spring Quarter. On board you will feel the atmosphere of joy, good Persian food & beverage, non-stop partying and all of this together with Scandinavia’s largest Persian Club and its best audience. 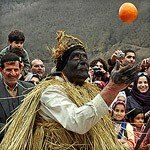 Tajiks consider Nowruz as their biggest Celebration of the year. 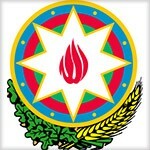 In Tajikistan, Nowruz is celebrated and observed for five days. Tajikistanis from all ethnic backgrounds celebrate Nowruz with the same enthusiasm and sense of belonging. 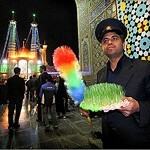 Qom is the second most sacred city in Iran after Mashhad. Much of the shrine complex was first built by Shah Abbas I in the early 17th century. Qom, along with the shrine were raided in 1221 by the Mongols and again by the Tamerlane. In 1519 the dome of the shrine was rebuilt and the courtyard was embellished in honour of the Safavid king, Shah Ismail I. 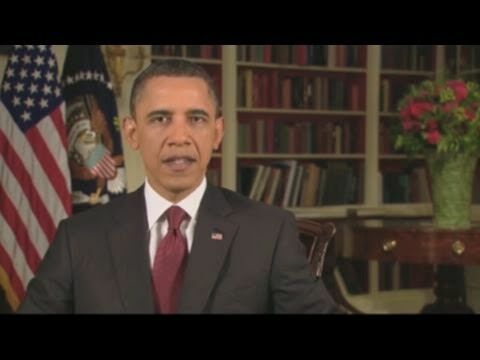 President Obama sends an important message to those celebrating the holiday of Nowruz. At a time of great regional change and renewal, the President this year speaks directly to the Iranian people, in particular the Iranian youth. “…you – the young people of Iran – carry within you both the ancient greatness of Persian civilization, and the power to forge a country that is responsive to your aspirations. 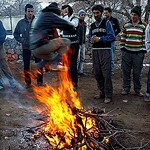 Chaharshanbe Suri, also called the Festival of Fire, literally meaning Wednesday Feast is an ancient Iranian festival dating back to at least 1700 BCE. 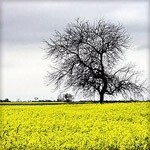 it is a prelude to Nowruz, which marks the arrival of spring. Over 150 musicians and dancers from 11 different Turkic nations will be uniting for the epic US debut concert series Nevruz. 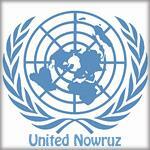 The concert celebrates the New Year holiday Nevruz, observed in most part of Eurasia. 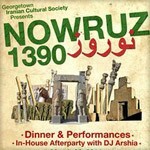 Join the Georgetown University Iranian Cultural Society for its annual dinner show. There will be delicious Persian food, egg painting, performances by Georgetown and local students, as well as an afterparty with DJ Arshia! 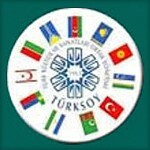 Azerbaijani and Turkish Diasporas have embarked on a new campaign by sending hundreds of letters urging US President Barack Obama to mention Turkish peoples in his Novruz congratulatory message. Born in Tehran, Iran in 1980, Sepideh Raissadat is an Iranian classical singer. Sepideh began studying Radif (the Repertoire of the Persian classical music) at the age of 9 with the famous Persian singer Ms. Parissa.